The family arrangement is pervious to the wiles and pressures of today. This institution, to be hailed as the cornerstone of society, is facing an all-out attack. A show of statistics is not required to qualify that statement, as the revelations are as clear as day. Children are disobedient to parents, husbands deal treacherously with their wives, and wives blatantly disregard the headship of their husbands. The list is perpetual. Not only do internal conundrums loom incessantly over the ‘haven’ of the family, but external factors often ease their way in to make their beds – further degrading the tranquillity of the home. Granted, this article grabbed your interest because you’re contending with common family problems. Take heart, you’re not alone in this struggle. You might also be thinking about starting your only little family someday (maybe tie the knot) and wanted to know what common family problems are looming in the dark. This extended piece underscores several common family problems you might encounter and how you can effectively deal with them. *This post contains affiliate links. Please see disclosure. Money is a huge deal. Friends have betrayed friends to attain it and people have even killed for it. (No joke; these things are happening). The family is no exception. When finances hit the bucket, the family grows insecure. 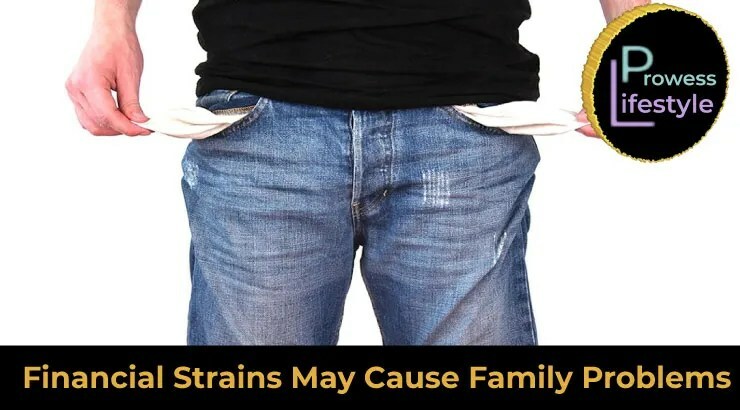 When a family is accustomed to enjoying the luxuries or finer things in life, financial problems become a humongous blow, even rendering a family paralyzed or immobile. Debts can cause immense strain on the family. Instead of communicating a solution, husbands and wives spend most days shouting or throwing objects at each other. Can you see how financial woes are indeed woeful? How can families deal with financial problems when they do arise? Learn to keep a simple eye. You’re not encouraged to give up on the luxuries and delicacies you enjoy, but bear in mind that financial/material reversal can occur in the blink of an eye. While you live in the moment, make contingencies and allowances for the next day, or even years to come. You can do so as a family by evaluating your current spending habits. Do you spend thousands of dollars accumulating non-essentials, only to have them locked away in storage? Do you acquire debts only to possess items you honestly don’t need and could live without? Do you eat out at elaborate restaurants weekly instead of relishing a family meal prepared with love at home? Cultivating a simple eye isn’t easy but if you wish to keep your family together, you must. With sustenance and covering, you ought to be content. Be practical. If the husband is the sole breadwinner, could the wife put things in place to work part-time to make things a little less difficult for him? Could you go out less to save more? Having a balanced view of money and controlling how much the family spends on non-essential items is important. In some cases, families don’t have a financial problem; it’s only happening in their minds. What does that mean? Are you able to fully cover your bills monthly? Are you able to save a little or even contribute to your extended family? If your answers are in the affirmative, you only have an anxiety problem, not a financial one. To combat that problem, take measures to keep a firm grip on your anxiety problem. Stop thinking about what could happen in the future. That, in itself, could rob your family of happiness. But, what if you have debts to take care off? That could be a struggle. While you discover ways to cover your loans, never enter another debt to pay off the initial debt. You’ll only be starting the process all over. Could you and your mate secure something on the side to help make load light? Many people have tackled ‘odd’ jobs just to get things paid off. In some cases, others have resorted to another type of income stream by working online. That avenue allows you to work from the comforts of your home. Furthermore, could you sell non-essential items (things that you don’t need or use) to cover your debts? You might be surprised at how much you have lying around. Making a living is tough. Whether you’re working from home or the typical 9-5, the anxieties of earning a buck can wane in on family activities. Some people work two jobs to make ends meet. With everything happening in between, a mate is often neglected. This problem could lead to an even greater dilemma within the family – infidelity. “Make sure of the more important things”. If you’re overwhelmed with mundane activities, can you put aside some activities to spend quality time with your mate? Can you set the goal of eating at least twice per week, if not more? Could you (both) give up selfish personal pursuits just to communicate or spend time together during the day? Your efforts will undoubtedly strengthen your family. 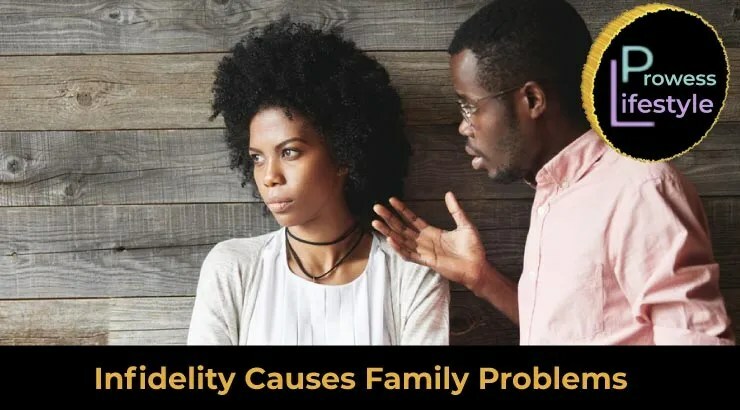 Infidelity or unfaithfulness to one’s spouse or mate could cause a division within the family. This outright and blatant disrespect often ignites distrust, lack of communication, and emotional support within the family. Infidelity often rears its ugly head because of selfishness. In other cases, marriage mates could become lax, reluctant to show their spouse intimacy. Regardless of what other family problems you’re contending with, focus on your mate and make time for romance. 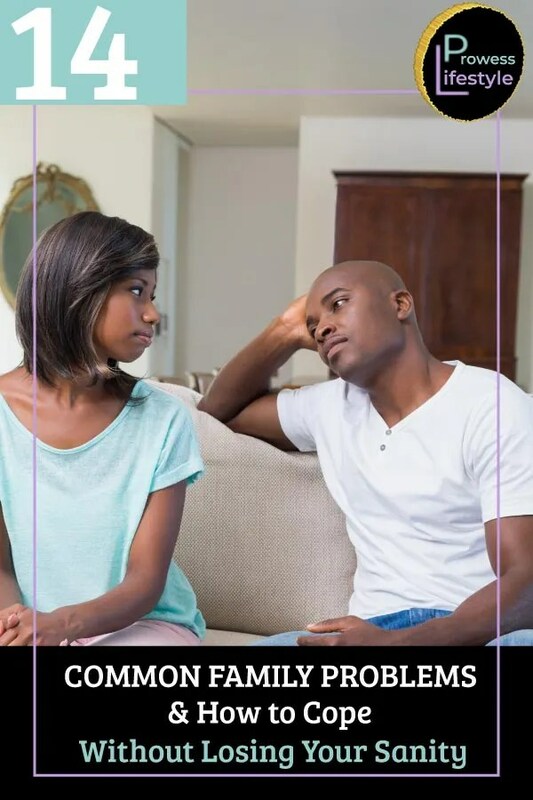 Has your spouse been unfaithful? How often did the act occur? Did you decide to forgive and make amends? Remember, once you’ve forgiven your mate, you’re in effect saying that you won’t hold the incident above their heads, or use it as a means to taunt or make their life difficult. If you’ve been unfaithful, talk about the infidelity with your spouse. This could open the lines of communication and rebuild the trust that was lost. Family obligations and responsibilities can be placed on the backend. How might this happen? The anxieties and pressures of life. A man or woman can become so concerned with making a name for themselves that they give up everything they’ve built over the years. A typical but true scenario: A woman, after being married for seven years, decided that she wanted to make a name for herself. She had a son and husband but decided the relationship and her obligations as a wife was holding her back. What did she do? Under the influence of friends, she moved out, totally neglecting her responsibilities to her husband and son. Where is she now? Sad to say, she’s not well off, but yearning to return to her family. Regardless of what you want to pursue, you should never proceed at the expense of your family. Family comes first. Lack of communication is a common family problem in today’s society. It’s seamless for couples today to live single lives. How does that work? Put simply, they share the same roof, bed perhaps, but that’s pretty much just about it. 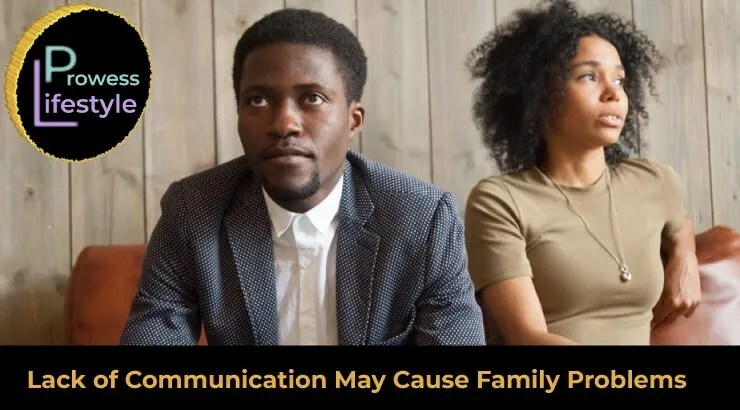 Lack of communication can pitch a family over a cliff. When communication breaks down, so does understanding. Without understanding, there is no expressed trust and reliance. Communication within the family should flow freely. if you cannot share willingly and openly with your spouse or parents, who can you run to in times of distress? To deal with this common family problem, couples need to spend less time with gadgets and on social media. Or, families could help where needed. Lack of respect is one of the most common problems plaguing families today. It’s very difficult for husbands, wives, and children to communicate without shouting, shaming, or name calling. A lack of respect is exhibited in so many ways. This could include physical abuse, derogative speech, and the list continues. Men, especially, want to know their headship is respected and that takes us to the next common family problem. This might sound ancient, it probably is, but the man should take the lead in his family (except in a single-family setting where the mother presides). It is the man’s responsibility to ensure the spiritual, physical, emotional, and psychological needs of his family is met. In training and teaching his children (even step ones), he should take the lead. The society we live in today does not hold those views, especially if the woman is financially independent. In this classic setting that we find ever so often, a wife might undermine her husband’s authority. Submission is not intended to enslave a woman, but in everything a husband does, he should treat his wife with love and respect. Once a woman is treated with love, consideration, and dignity, the relationship will prosper and it’ll help women submit with ease. Love does not behave indecently. If, as a woman, you face issues with submission, there’s help for that. 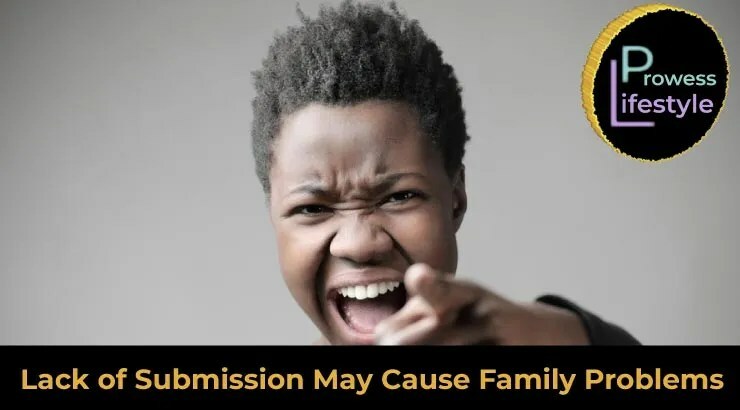 It’s best to have a healthy dose of submission to ensure your family survives. A man should not belittle or laud his authority over his family. If a man dominates his household by inciting fear and demanding respect, he won’t find it there. His wife won’t feel loved and his children would have a reason to rebel. A man should rather, deal with his family in a spirit of mildness and tender compassion. A family without trust is a family living on suspicion. They’ll take what each member says with a grain of salt. A lack of trust within the family can stifle communication, respect, and natural affection. Always speak the truth with one another. Child rearing is no happy Sunday stroll through the park. It’s hard work and especially difficult if the parents involved aren’t mature enough to handle the obligations that come with child rearing. This is an exhortation to youths: Enjoy the days of your youth. The rebellion of children in the family is nothing new. Children have always been rebelling, whether subtly or outright. What can you do when your daughter or son refuses to listen to your advice? PUT your foot down! Let them know that what you’re saying is not optional. Do not give them a choice. You’re the parent, not a slave to your children’s demands. While you govern your children with love, it’s also important to remember that you need to set restrictions. You are their friends, but you’re their parents first. A family not only survives but thrives on affection and emotional support. Sadly, many couples are consumed with making a living and providing for the family that they neglect their spouse and children. Your family has to eat. That’s understandable, but it’s also your responsibility to spend time with your family and provide training and discipline when needed. Not only does that apply to men, but it’s becoming a trend with women of late. “My baby has a nanny”, some women might add but that does not dissolve them of their wifely and motherly duties. Your family is your priority, and it’s your God-given responsibility to provide affection and emotional support to your mate and children. If your spouse and children lack the needed affection, they turn to other avenues to fill that need. Children might become delinquents, and your mate might take solace in the arms of someone else, ultimately leading to unfaithfulness. Make time to show love and affection to your family. This is actually the spirit of the world. People stop appreciating good deeds and gestures years ago. Could this be happening within the walls of your family? Especially with children, it’s quite easy for them to conclude that you’re not doing anything to contribute to their happiness. However, have they stopped to realize and appreciate the sacrifices you’ve made over the years to provide food, shelter, and clothing? What about husbands? Could you actually develop a lack of appreciation for things your wife does around the home? Wives, could you become envious of the possessions of a friend, failing to see how hard your husband works to provide for the family? Let us always show a grateful spirit for even the small things in life. Your extended family is awesome and you love them. However, when you’re having challenges with your immediate family, it’s important to keep the influence of in-laws to a minimal. Especially mothers-in-laws, they’re more inclined to dictate, in most cases, to wives how things within the family should be done. No, that shouldn’t be the case. They can offer suggestions, but never expect that it’ll always be carried through. When dealing with in-laws, be frank but respectful. Let them know you value their input, but you have to do what’s best for your family, especially in child rearing instances. Do not allow in-laws to strike a chord between you and your spouse. This is especially the case with teenagers. They lack that natural affection with parents. Telling your kids you’re available to talk just won’t cut it. They need to sense that you’re readily available to help them deal with their problems – which by the way are plenty. with work? Do you often dismiss them, referring to their problems as trivial? You’re actually driving your kids to take solace in someone else. Make time for your children. They should feel connected to you as a parent and willing to discuss their daily affairs. Make time to talk with them. Take the initiative. The family is not immune to problems. They will come. However, when those common family problems arise, you can deal effectively with them by demonstrating love and insight.